American Cody Webb (@codywebb2) and the UK’s Jonny Walker (@jonnywalker_22) waged an epic back and forth battle for the win at the fifth annual KENDA AMA Tennessee Knockout (@tkoenduro) presented by Moose Racing and SRT Offroad. Webb eventually wore Walker down and opened a small gap with just a few laps remaining to take his third consecutive win at the Trials Training Center. The KENDA Tennessee Knockout uses a unique four-round Sunday format to narrow down a fifty-five rider field. It consist of a Hot Lap on a mile-long short course that Webb won with a 3:41 lap time. FMF KTM’s Taylor Robert (@taylor_robert33) was second in that timed session and Walker rounded out the top three. Husqvarna’s Colton Haaker and Mike Brown finished fourth and fifth. After the Hot Lap, the 51 riders that managed to complete a lap competed in the first Knockout round, which was a 14 mile off-road loop that was a race against the clock with the riders taking off in 30-second intervals in the order of their Hot Lap Times. Robert surprised Webb by catching him near the end of the lap and passing him for the physical lead and finished with a thirty-one second gap and a 48:45 Lap time. Walker also managed to set a faster time than Webb to take the second position just 25 seconds behind Robert. SRT Offroad’s Cory Graffunder set the fourth fastest time and Mike Brown was fifth. Only the top twenty-five riders would move on to the second Knockout round, which would feature five groups of five riders racing head to head. Those top five riders were the top seed in each group and only the top three in each would earn a spot in the fifteen rider main event. Knockout two would again use the long loop but with more difficult sections added so the lap time increased to 54:41 for the fastest rider, which was again Robert. Walker, Webb, Graffunder and Brown also won each of their respective groups to earn front row starting spots for the main event. When the fifteen riders launched out off the line for the main event, which was back on the short course for a 30-minute plus one lap race, it was Walker that got aggressive and took the lead out of the first turn. Webb and Robert were close behind so it looked like the fans were in for an epic battle between the top three riders from the morning Knockout rounds. Unfortunately for Robert, he got stuck on a hill on the first lap after almost hitting the back of Webb and pushed himself deep into the field. The battle between Walker and Robert was intense from the beginning with the two trading the lead several times during the first two-thirds of the nine-lap race. Then Walker did not make it up one of the extremely technical hills and he blocked Webb and both were forced to go back to the bottom to make another attempt. The crowd was cheering loudly as they jockeyed for position and Webb managed to get turned around quicker and take the lead. At this point, Walker was starting to feel the fatigue of the intense pace, high temperatures and humidity so Webb managed to slowly pull away in the final few laps to take the win with a one-minute and 43-second gap. 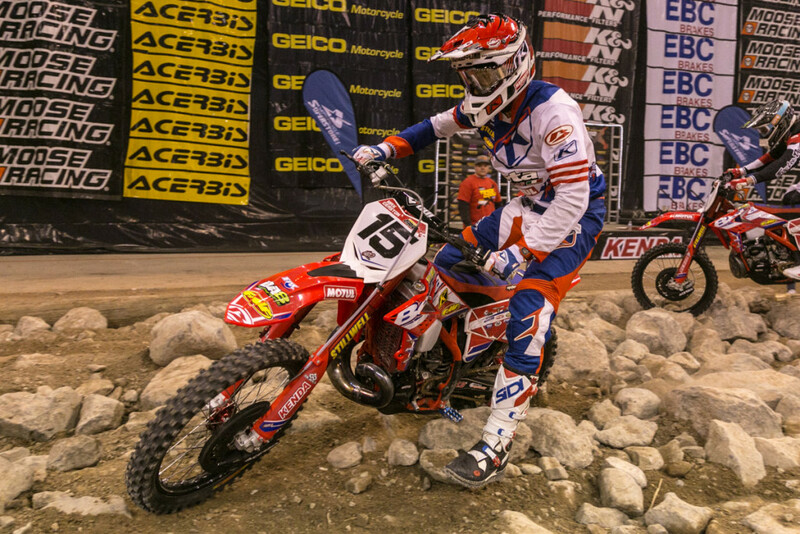 This was Webb’s third win in a row at the TKO, and combined with his 2014 GEICO AMA EnduroCross championship, it is hard to argue that he is the best Extreme off-road racer in America right now. And he was facing off against Walker, who many would argue is currently the strongest Extreme off-road racer in the world. “I had chills running down my back from the fatigue and I know that Jonny felt a little sick the last few days and also had to deal with jetlag, so I am happy that I was I was able to take the win”, Webb said. “This is definitely right up there with the biggest wins I have ever had with all of the tough riders that showed up for this event”. Husqvarna’s Brown held on for fourth, the last rider to remain on the lead lap. Gruffunder had a steady ride to take fifth on his KTM. Beta’s Kyle Redmond finished sixth. Haaker was seventh on his factory Husqvarna. AmPro Yamaha’s Jordan Ashburn, who is a Tennessee native finished eight. 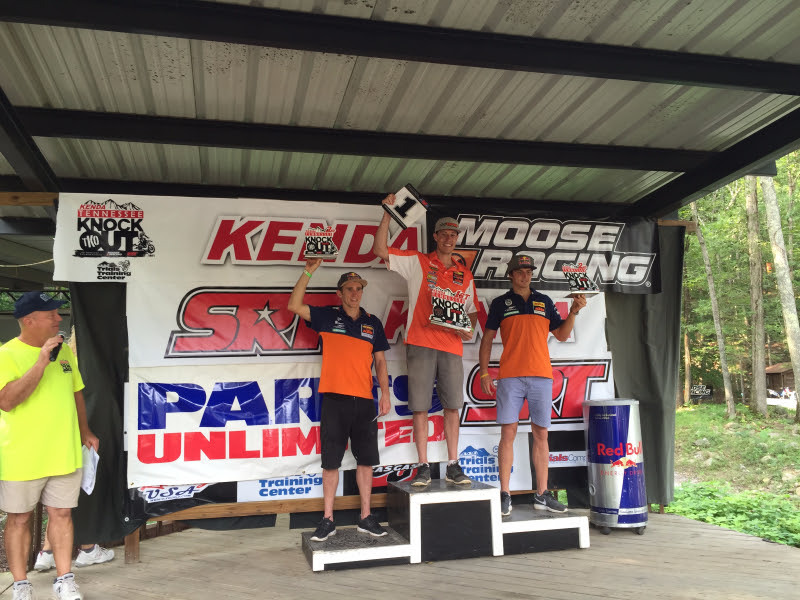 RPM KTM’s Ty Tremaine finished ninth and Beta’s Max Gerston rounded out the top ten. 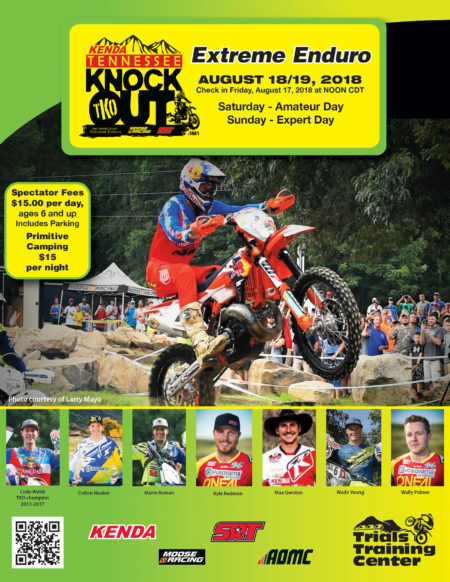 The Beta USA off-road team of Max Gerston, Kyle Redmond and Jesse Groemm will be competing in this weekend’s KENDA AMA Tennessee Knockout at the Trials Training Center. Despite the large field of World Class off-road racers, all three of the Beta riders are legitimate podium contenders. 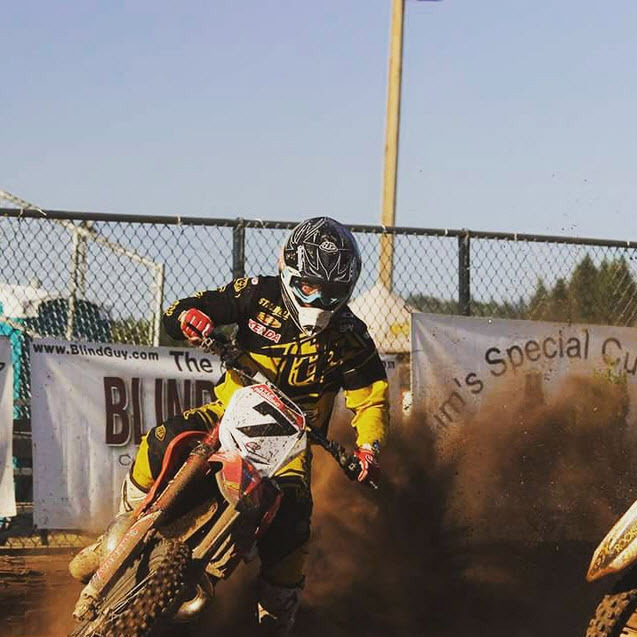 Redmond has proven to be one of the most talented off-road motorcycle riders in the world and has a few podium finishes at major events, including GEICO AMA EnduroCross. The first-year Beta factory rider always seems to be on the verge of breaking through and will be looking to make that happen at the TKO. 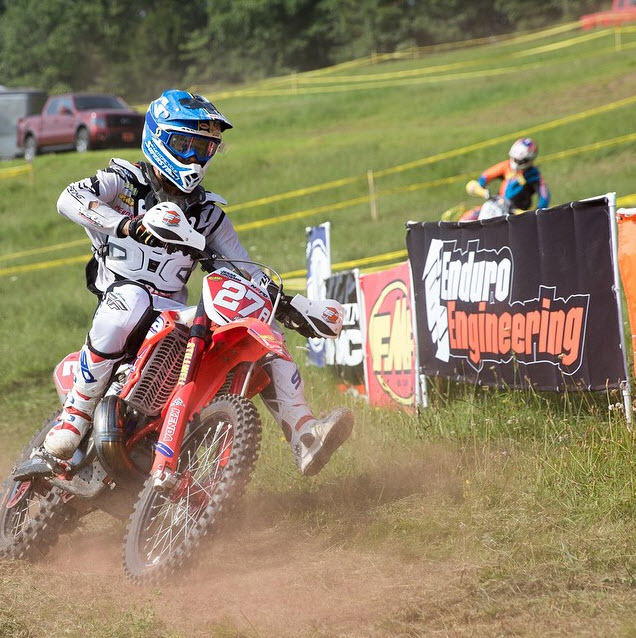 Groemm finished second in the 2014 KENDA AMA National Enduro championship to earn a Factory Beta ride for 2015. 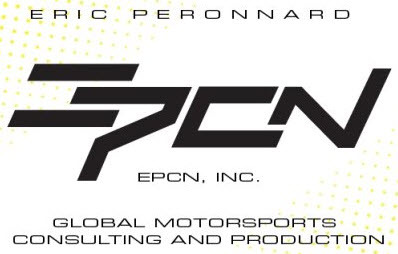 An injury early in the season kept him off the bike for several months but he is now back on track as evidenced by a podium finish at the most recent round in Texas just a few weeks back. 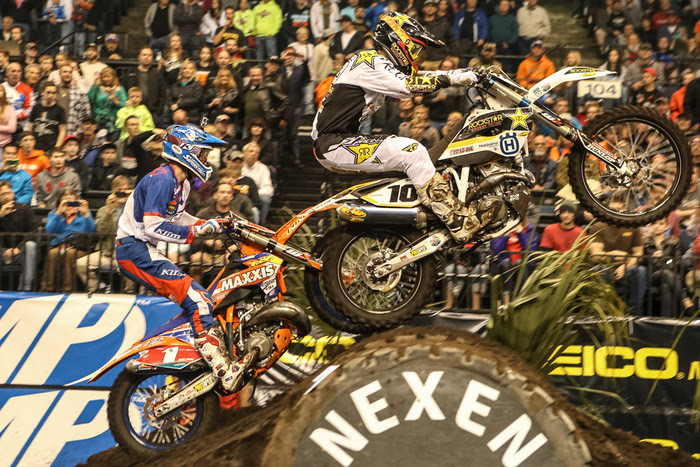 Groemm could be a dark horse for a podium spot in Tennessee. The UK’s Jonny Walker, multi-time winner of the Erzberg Rodeo and Romaniacs events, has confirmed that he will be competing at the TKO for the first time. He will be facing off against Gerston, Redmond and Groemm as well as a long list of top North American based riders including: Cody Webb, Taylor Robert, Mike Brown, Colton Haaker, Grant Baylor, Steward Baylor, Ty Tremaine, Cory Graffunder, Daniel Milner, Ricky Russell, Wally Palmer and Jordan Ashburn. 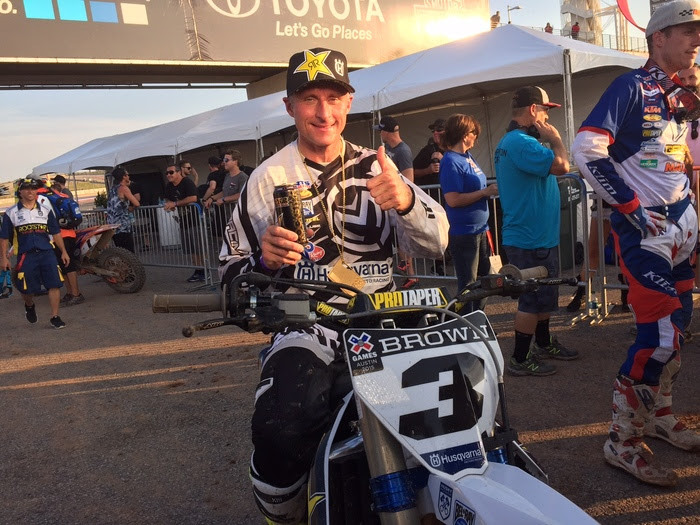 Husqvarna’s Mike Brown and Colton Haaker have both confirmed that they will be gunning for the top of the podium at the 2015 KENDA AMA Tennessee Knockout. Brown is a Tennessee native and he took the win at the first two TKO’s in 2011 and 2012. He showed amazing toughness on both occasions but in 2012 in particular as he recovered from nearly being eliminated in an extremely challenging rock ledge section during the second knockout round. Brown struggled in 2013 to finish seventh and had to miss the 2014 event. So he will be back on his factory Husqvarna looking to defend his home turf. 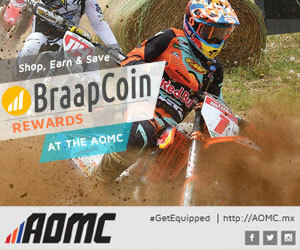 He has two wins already this season on the GEICO AMA EnduroCross tour including a win at the most recent round during the X Games event in Austin Texas so he is as strong as ever. Haaker competed at the 2011 and 2013 TKO events with ninth and seventh place finishes respectively but he has continued to develop as a rider and is currently tied with Cody Webb for the GEICO AMA EnduroCross points lead so you can count on him to be a threat for the win. The UK’s Jonny Walker, multi time winner of the Erzberg Rodeo and Romaniacs Extreme Enduros, has confirmed that he will be competing at the TKO for the first time. He will be facing off against Brown and Haaker as well as a long list of top North American based riders including: Cody Webb, Taylor Robert, Grant Baylor, Steward Baylor, Ty Tremaine, Cory Graffunder, Daniel Milner, Ricky Russell, Max Gerston, Kyle Redmond, Wally Palmer and Jordan Ashburn.